The personality of an administrative professional is usually someone that is well rounded, who has a glimpse of a characteristic of everyone in the office, making them effortlessly approachable. They are easy going, organized, one of the most trusted and often go beyond their generic duties to do whatever is necessary at the time of need. Administrative professionals are often the hub that brings everyone together, whether it is for meetings, questions or concerns and are depended upon in the absence of their executives. They are accountable for the little things that are missed or the loose ends that need to be mended to keep the flow of the workday or events progressing. It is the little things they do that have the biggest impact; that take the load off others in the office and drive an overall successful company. Listening to a radio station this morning, on 93.1 CHAY-FM, they were conversing on how administrative professionals, especially assistants, know their executives sometimes better than they know themselves, or some even more than their significant others! They are someone that spends more time with you throughout the day than most and who are there in the blink of an eye, no matter the request. It is not about the administrative work, but it is learning how their executive thinks, their needs, and putting it above their own. It is being able to give a sense of ease to their executive so they can focus on the needs of the business, bringing in business and making their day a little more tranquil. The workplace is an ongoing force that changes daily and though there is very little time in a workday, today above all days, take a moment to show appreciation for all that your administrators do for you! Give your administrative team a break today, and give TK Enterprises Inc. a call for all your event marketing needs! For more information about our Event Marketing services, please don’t hesitate to call us toll-free at 1-877-622-0195. You may also email us at heidi.tke@tomkaufmann.com or fill out the form on our Contact Us page and have someone contact you! The genius and renowned Alexander Graham Bell, a Scottish scientist who moved to Ontario, Canada and later to the Unites States, invented the first electronic telephone, that is essential in the present day. He worked at a school for the deaf while attempting to invent a machine that would transmit sound electronically. 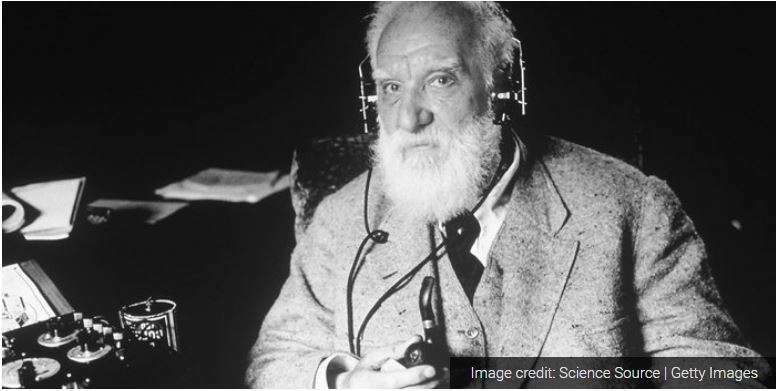 According to History.com, though he is credited with its invention, Alexander Graham Bell refused to have a telephone in his study, fearing it would distract him from his scientific work. He is famous for numerous inspirational quotes that have guided people through tough and influential times. “When one door closes, another door opens,” gives us the belief and courage to move forward on our endeavors, making us believe that there is no end to anyone’s story, just a constant beginning. People underestimate the use of a telephone, especially from a marketing perspective, but it can better assist customers and allow a relationship to prosper. A telephone conversation allows a customer to instantly interact with someone and allow them to facilitate their personal needs and can take the time to be able to build a potential relationship. It is a great way to reach out to more customers and results in the continuation of building on going relationships. As a company, you want to ensure that your customers are being helped in the most personal way to express loyalty and commitment. With social media rising at a rapid speed it can be overwhelming. Telemarketing is a source of advertisement that allows the ability to have a more personal touch with your customers, rather than just over a computer screen. Sure, a customer might have an easier access to apps, website and postage mail, but no questions are answered right away and needs are left forgotten. A phone conversation allows immediate engagement between the customer and the company. People want to be able to communicate with someone verbally, allowing them to ask questions, ask if they have styles they are interested in or are looking for or markdowns and promotions that are happening. People are always looking for a good deal. It also allows the opportunity for the customer to buy more at the time of purchase. TK Enterprises Inc.is the best way to exert your brand, events and services. Talking with people on the phone is the most efficient way to communicate and build a relationship with your customers. Telephone and event marketing can be difficult when there are millions of competitors and having a diverse market and keeping that market can be a struggle. TK Enterprises Inc. eliminates the daily workload of a business owner and their staff and allows them focus on their important everyday obligations. TK Enterprises Inc. can strengthen your brand by calling and connecting your customers to your in-store events, giving your customers increased product awareness with the personal touch they deserve. For more information, please don’t hesitate to call us toll-free at 1-877-622-0195. You may also email us at heidi.tke@tomkaufmann.com or fill out the form on our Contact Us page and have someone contact you! People who work on the phones every day are quite exceptional. Not only are they required to often go through the rigors of speaking to more than a hundred different people each day, they also must find ways to endear themselves to complete strangers. To do that, phone agents have to be masters of tone and inflection. They don’t have the luxury of facial expressions and hand to convey their messages. At the end of the day, no matter what message is attempting to be communicated, it’s important that a phone agent is likeable. Without having the person on the other end of the line actually like the agent he/she is speaking to, the message will often get lost. Did you know that you can “hear” a smile through the phone? Try a little experiment for yourself. Take any written script and record yourself reading it as you would normally speak. Then read it a second time, but have a big smile on your face while doing so. Listen to the two recordings. Notice any difference? More often than not, your tone will automatically become more pleasant when you’re smiling. 2. Do more listening than talking. To be likeable over the phone, it’s integral that you remember that conversations are meant to be two-way streets. When you allow the person on the other line to express his/her points of view, it shows respect and an appreciation for his/her opinions. After all, the best way to serve your customers is to pinpoint their specific needs and wants. Being an active listener helps you to be an excellent customer service provider. 3. Understand that chewing and chatting don’t mix! You’d think that this tip wouldn’t be necessary. However, far too many people believe there’s no harm in leisurely chewing gum or even snacking while having their phone conversations. Don’t assume the parties on the other lines won’t notice. It should go without saying that chewing gum, eating food and drinking should be avoided when speaking on the phone. The TK Enterprises Inc. team is made up of phone agents who are masters of the above-mentioned tips. For more information about how our Event Marketing services can put our phone agents to work for your jewelry business, please don’t hesitate to call us toll-free at 1-877-622-0195. You may also email us at heidi.tke@tomkaufmann.com or fill out the form on our Contact Us page and have someone contact you! Mother’s Day is less than a month away! This year, it falls on Sunday, May 13th. And as is commonplace with the annual tradition, mothers all over the continent will be celebrated by their children through special dinners, cards and other gifts. As a jeweler, you’re well aware that jewelry is right up there with chocolate and flowers as top Mother’s Day gifts. So what are you doing to ensure that your store enjoys a significant boost in sales over the next few weeks? We have a few ideas for you. Now that’s certainly one way to encourage jewelry shoppers to visit your store over your competitors. Naturally, Mother’s Day is a day when sentimental gifts are passed from children to their moms. Necklaces, pendants, bracelets and other jewelry items that allow space for special messages make the most sentimental of all gifts. Why not offer free engraving on purchases over a certain amount to encourage increased sales? Partner up with other businesses for a special promotion. There’s no better type of promotion that word-of-mouth promotion. And that’s especially true when other businesses are spreading the word about your business. Partner up with a non-competitor that is also bound to enjoy an increase in sales due to the upcoming Mother’s Day celebration. On VendHQ.com, Francesca Nicasio suggests that jewelry stores make good partners with flower shops, spas and restaurants. 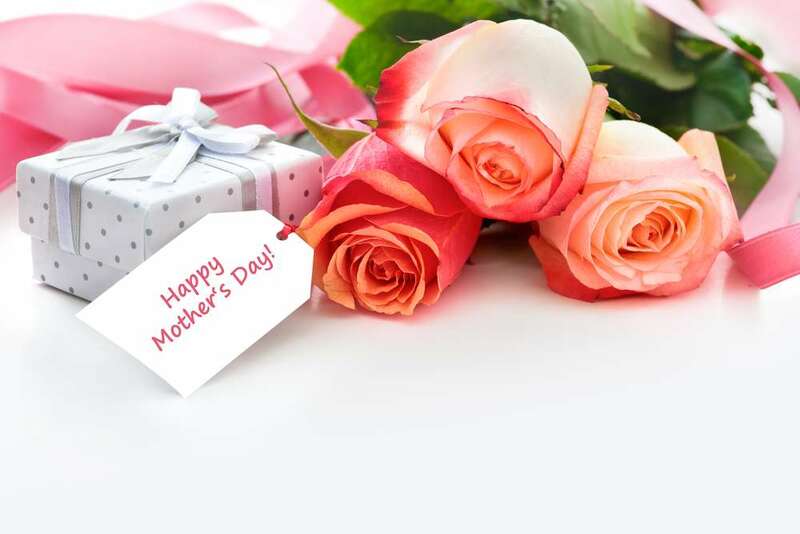 “If you want to increase traffic in your location, consider teaming up with local merchants that see a lot of business on Mother’s Day (flower shops, restaurants, spas etc.) and send them free gift cards to offer to their customers, and hopefully drive traffic to your location,” she writes. Host a Pre-Mother’s Day celebration. Mother’s Day offers your jewelry store the ideal opportunity to host an in-store event. By doing so, you will entice your current customers to choose your store for their Mother’s Day gift shopping over your competitors. And TK Enterprises Inc. can help you! Our one-of-a-kind Event Marketing services put our experienced team of phone agents to work for you. 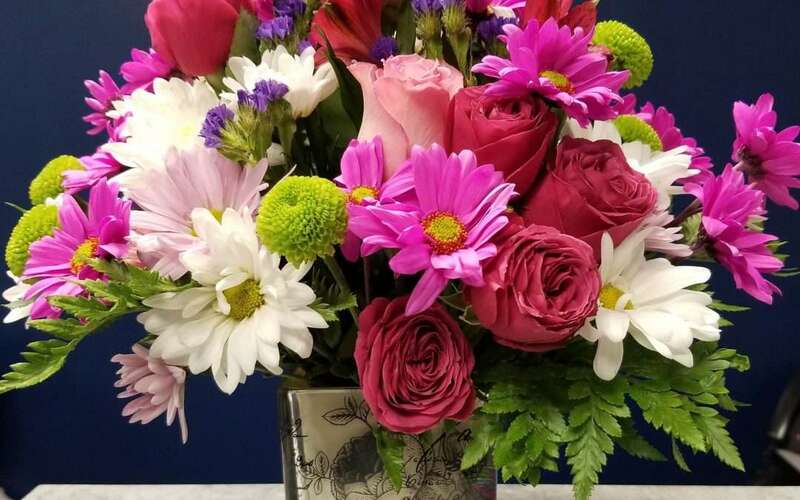 They will call your current customers to invite them to your special upcoming Pre-Mother’s Day celebration in order to boost their interest in all of the wonderful Mother’s Day gifts your store has to offer. Our team is made up of experts at offering exclusive invites to in-store events. It’s a proven marketing strategy! Texting, emailing and using social media – these are all incredibly popular ways of communicating these days. We live in a world where nearly everyone has a smartphone and, as a result, find ways to get in touch with family, friends, colleagues and co-workers without ever uttering a single word. It’s probably a good idea to utilize the myriad of social media platforms that are out there to promote your brand. However, it would be a bad idea if you neglect the always-dependable telephone call as a chief source of communication between you and your customers. Believe it or not, your customers would still prefer that you call them. 1. It offers a more personal approach. In today’s world, consumers want so much more than high-quality products and services. They value the relationships they develop with the businesses they support. This is why getting to know regular visitors by name and offering pleasant in-store shopping experiences is more important today than it ever was. Similarly, friendly conversations over the phone help to add a personality to your business that can’t be matched by texts and emails. 2. Information is received much quicker. With the written word, only so much can be said so quickly. Texting and emailing requires the physical typing of words that simply can’t replicate the speed of a normal spoken conversation. For this reason, it automatically slows down communication. Customers who want immediate answers would much rather receive those answers in real-time than have to sit and wait for the words to be typed out. 3. Not everyone is a tech wizard. With mobile devices and social media apps being so popular today, it’s easy to forget that there are many people who either don’t know how to use them or have no interest in trying. Going “old school” is just fine for a large number of people who feel a lot more comfortable speaking on phones than using modern gadgets. At TK Enterprises Inc., our one-of-a-kind Event Marketing services put our experienced and highly-motivated callers to work for your jewelry store, making personal phone calls directly to your customers to invite them to your upcoming in-store events. Jewelry – it’s a special type of merchandise that truly belongs in a category of its own. Unlike most purchases, jewelry is often bought for particularly sentimental reasons. Commemorating romantic relationships, creating family heirlooms and celebrating milestone moments – these are all very special occasions that are often recognized by the gifting of jewelry from one loved one to another. So, it should go without saying that jewelry purchases are generally made with a special type of care. To be specific, most consumers prefer to see and feel jewelry for themselves, trying on different pieces, looking in the mirror and mixing and matching to settle on the perfect combinations. As a result, jewelers continue to enjoy foot traffic in their brick-and-mortar store locations while many other industries lean towards boosting their online sales. Should jewelers be concerned about the growth of online shopping? Knowledgeable sources say no. Firstly, to reiterate an already-made point, jewelry purchases are more of the touch-and-feel variety. But secondly, e-commerce isn’t exactly taking over in the way that some people assume. Sure, online shopping is incredibly popular. And this is never more evident than during the end-of-year holiday season. However, most businesses still enjoy heavy in-store success even when their online sales are taking off. Believe it or not, millennials want to buy from you in person. As a jeweler, you undoubtedly receive numerous visitors from young shoppers in your store. Don’t assume that because millennials are part of the online generation they’d prefer to do their shopping online rather than in your store. Thau writes that while Amazon, Facebook and Instagram are incredibly popular with youngsters, they still prefer “real life stories”. 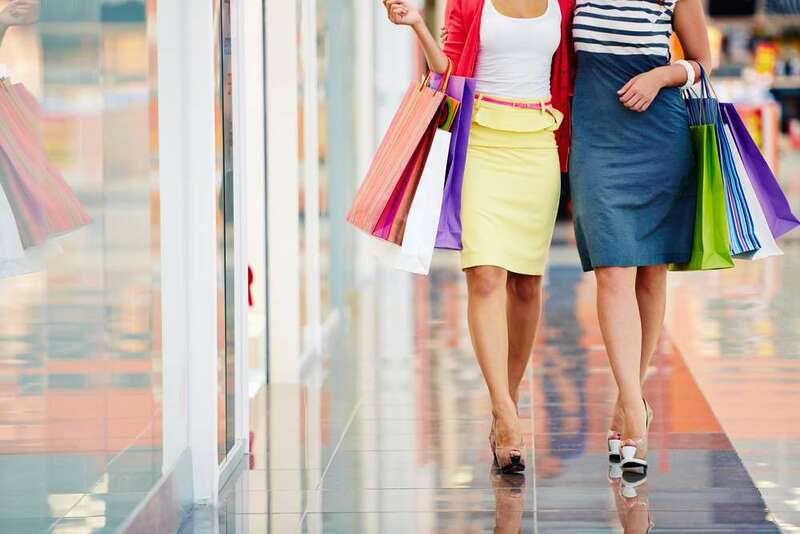 According to a number of studies, says Thau, young people enjoy real shopping experiences. With research showing that shoppers both young and old still prefer real shopping to online shopping, there is no reason to fear the growing popularity of e-commerce. There is also no reason to not invite your customers back into your store for your special events and sales. This is where the TK Enterprises Inc. team can really help you! Contact us today to ask about our Event Marketing services! Call us toll-free at 1-877-622-0195 or email us at heidi.tke@tomkaufmann.com. You may also fill out the form on our Contact Us page and have someone contact you!